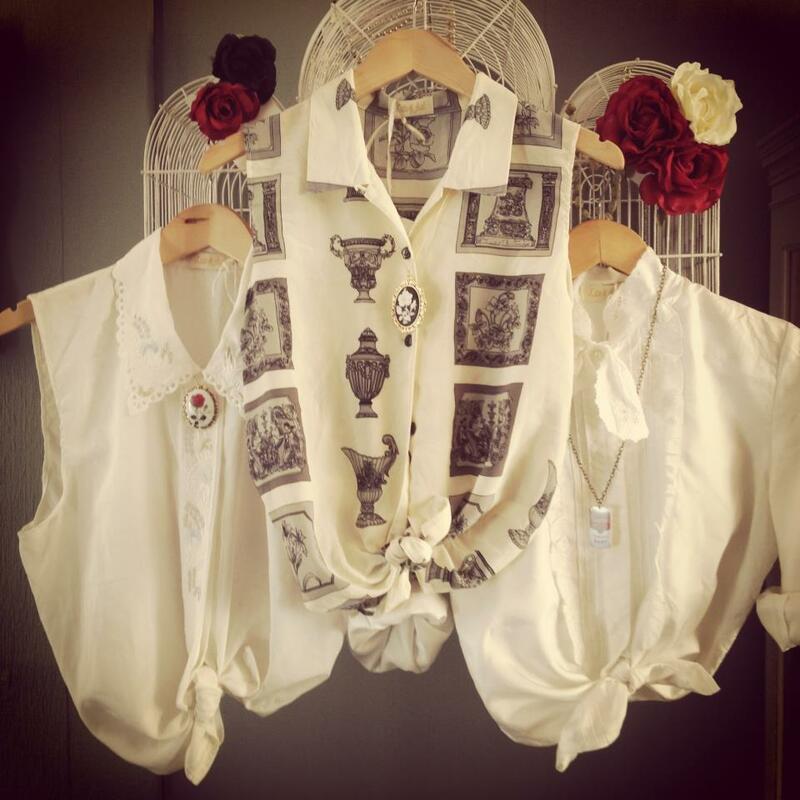 We wanted to let you know about this lovely boutique market this Sunday a few of our lovely stall holders are selling at! 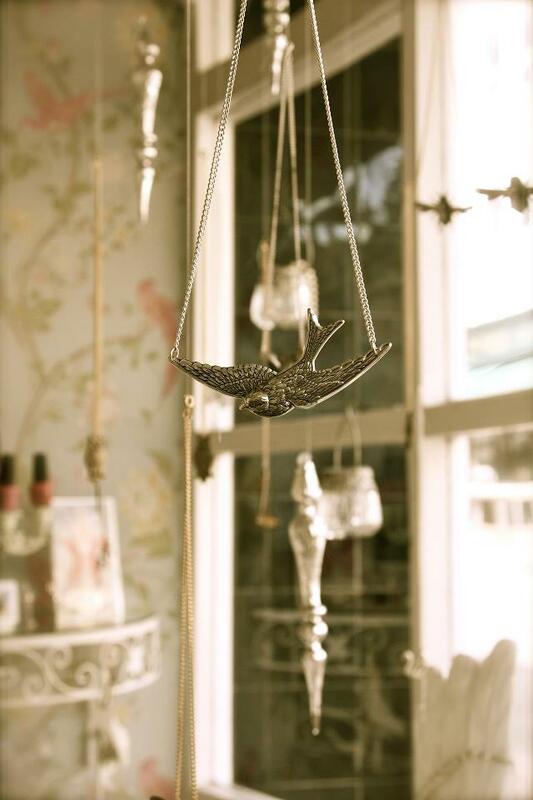 Come and explore Powder Beauty’s boutique of hidden treasures! and South Coast Swing events. Jessie Jumbles, Kirstin stride designs, Little Mouses, Johnny Loves June Vintage, Oh Carol, Lulalupin, Cat A Cake Creations, South Coast Swing Events, Cake Gusto – Artisan Cake & Biscuits (https://www.facebook.com/CakeGusto), Claudia Made This, lulalupinsew (https://www.facebook.com/Lulalupinsew) and more! Find out more and join the Facebook event here. 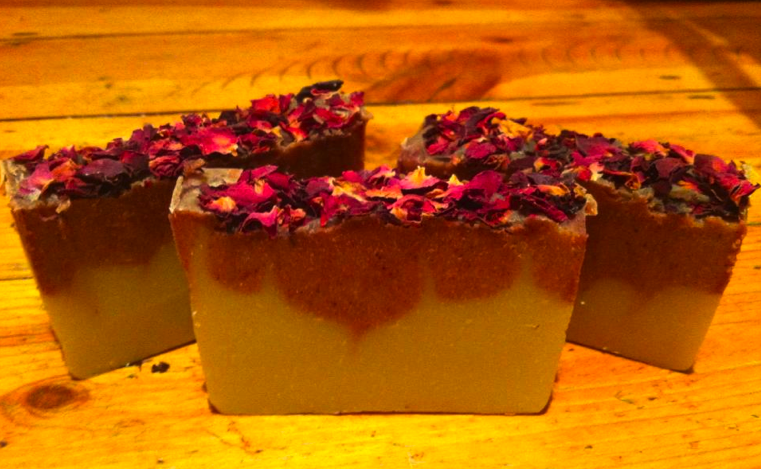 “I still get really excited over the fact I am making chemical reactions happen in my kitchen and the finished product is completely different and much much prettier to the initial ingredients.”– Hannah, Speckled Fawn Soaps. Hi, I’m Hannah and I make cold process soaps from scratch. I have been doing so for the last year or so and I love it! Well I like to make my soaps functional, luxurious, but also pretty and attractive! They have to be aesthetically pleasing but also I have always had quite sensitive skin so I have worked hard at creating really gentle and moisturising soaps. As previously mentioned, about a year. 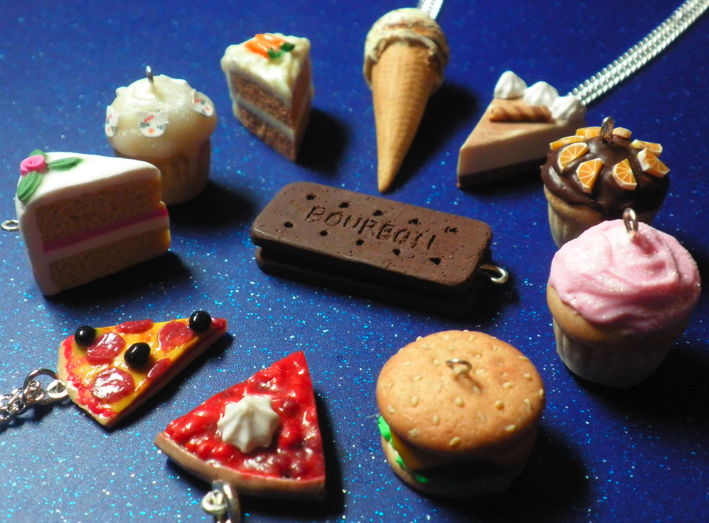 I have been getting more and more adventurous during that time, I have some great ideas to start expanding my range soon! It started off being Rose Geranium but now it seems to vary between events. 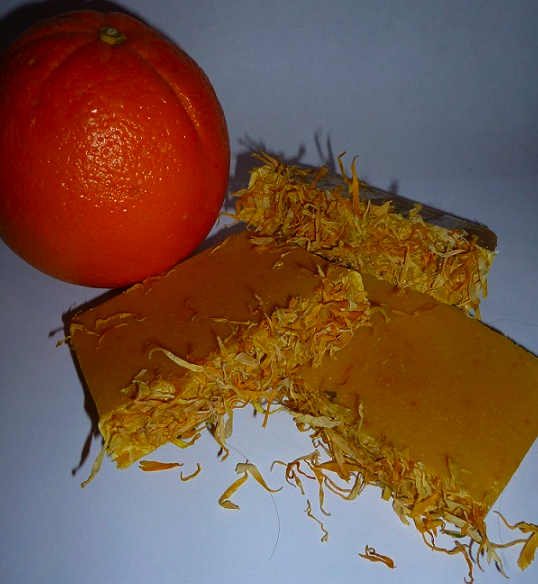 The citrus ones and lavender are also really popular now! I still get really excited over the fact I am making chemical reactions happen in my kitchen and the finished product is completely different and much much prettier to the initial ingredients. I have only done a few. The last Fairy Tale Fair was my first and it was so much fun I had to come back and do another! 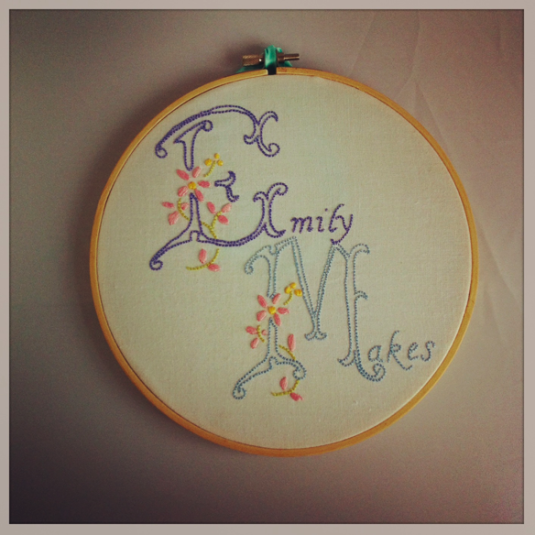 Well one day I would just love to be able to stay at home crafting all day! I’d take half the week for soap making and the other half for all the multiple other crafts that interest me. My home would be a castle and I’d have lots of adopted pets. Unfortunately I haven’t achieved this yet. As I mentioned before, I really did! 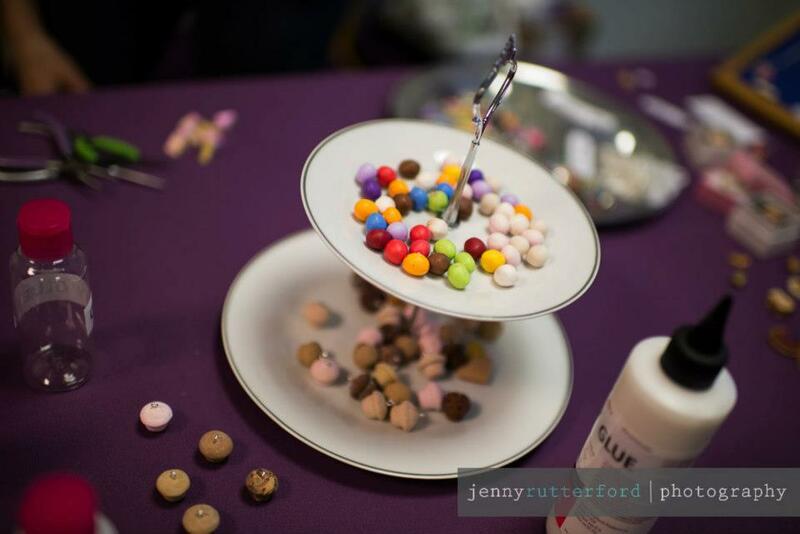 It was a great opportunity to meet other crafty people and there were some super cute stalls. I can’t wait to see what’s there this time! 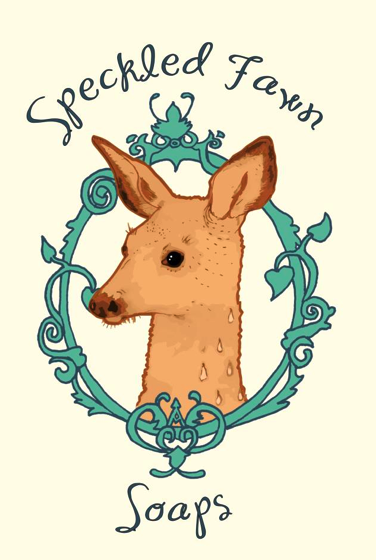 My name is Hannah, I run Speckled Fawn Soaps and I make handmade soaps by the traditional cold-process method, meaning I make them entirely from scratch so I know about every ingredient that goes in! I use natural ingredients wherever I can, all my soaps are always vegan-friendly, and I use a blend of oils and butters that make them really nourishing for the skin as well as super-pretty! 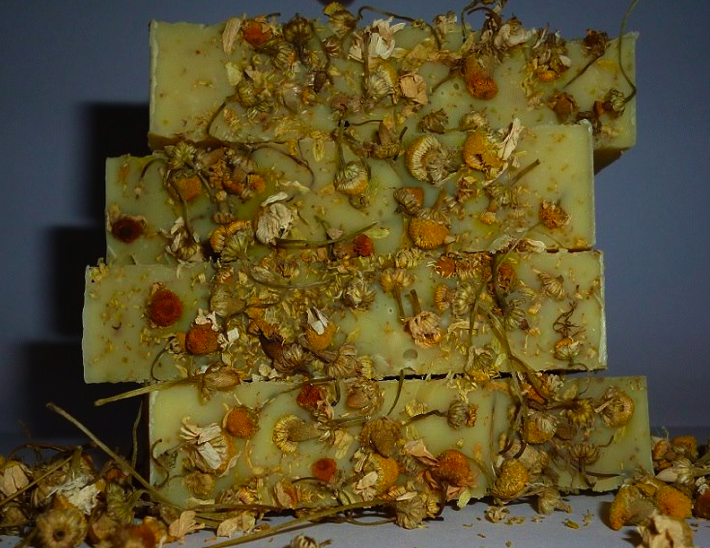 I like to make my soaps as visually appealing as possible by using flowers, swirls and other decorations. 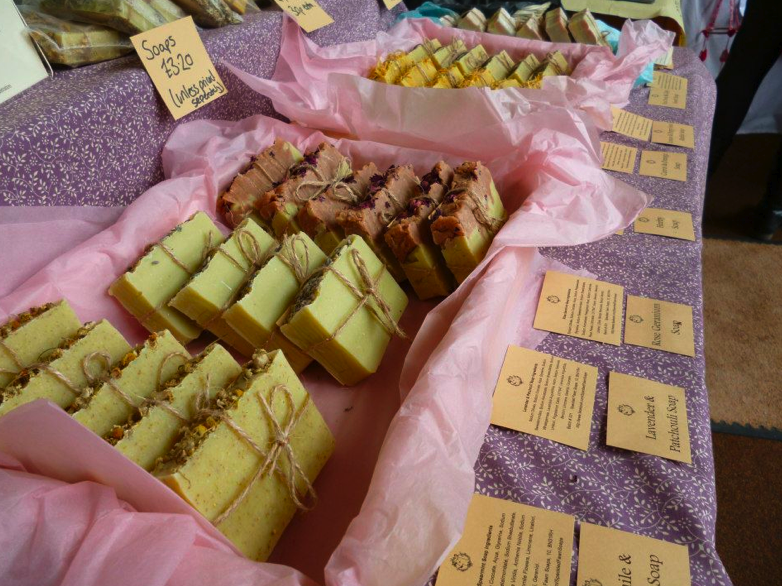 I use good quality ingredients to create lovely but affordable bars of soap that look good enough to eat! How long have you been making your soaps? 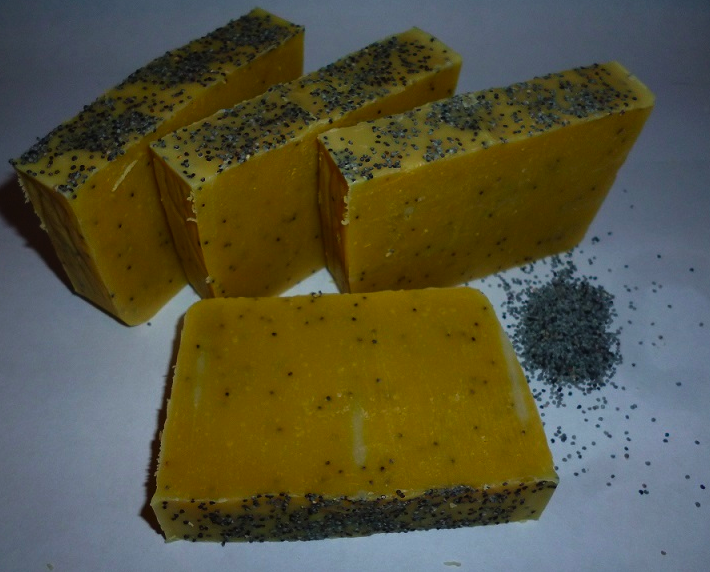 I’m still a relative newcomer, I only made my first soap about 6 months ago. It was so satisfying when it came out well that I had to make more. I started giving my soaps as presents and people seemed to like them, so I decided to get assessed to ensure my soaps all fell under EU safety regulations so that I could begin selling. Now most evenings I can be found making soap in my kitchen! 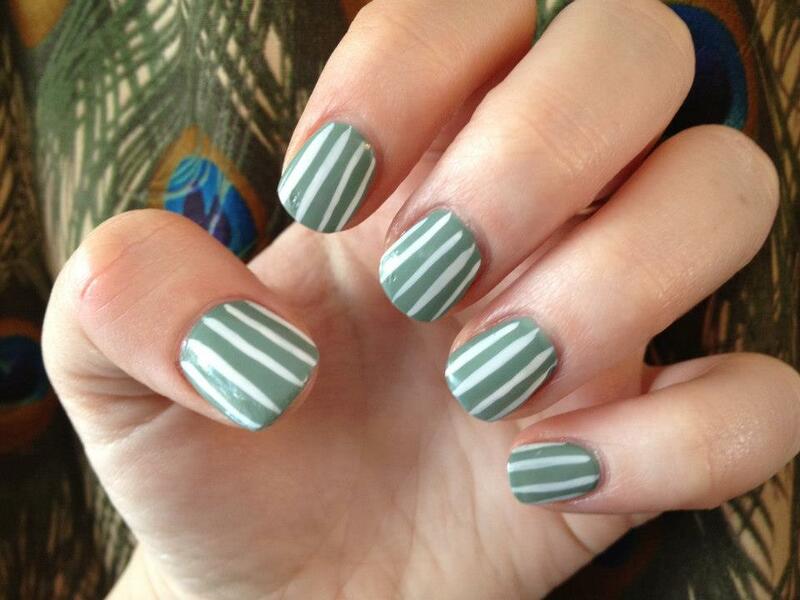 Florals are popular, rose always seems to be a winner. But I’m working on quite a few new ideas at the moment so that could all change. Mostly the fact I know I’m creating something pretty and useful from scratch, it’s really satisfying. I’m overcome with joy every time I take a new soap out of the mould and see how it’s turned out! This is my first craft fair so far, but I’m really excited for it and as soap making seems to be taking over my life now, I hope to do many more. 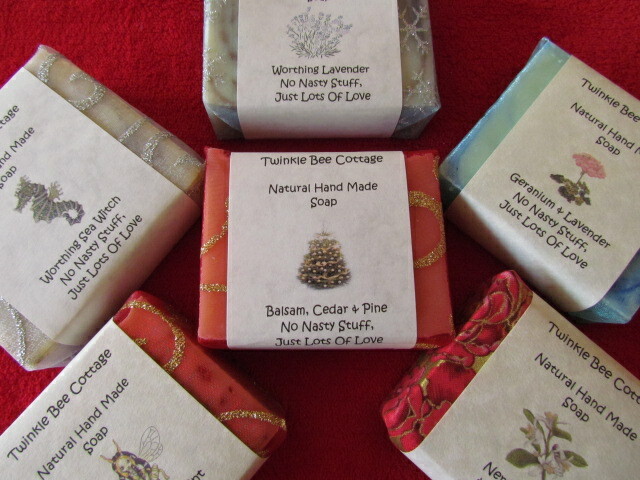 My soaps make ideal gifts, especially for occasions such as Mother’s Day. 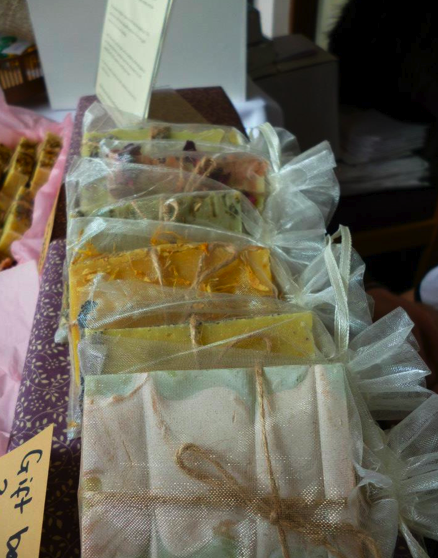 At the fair I will have see-through decorative fabric bags available to package soaps in, making them ready to give as a present. I still have LOTS of ideas for future soaps, and I intend to work my way through them all! 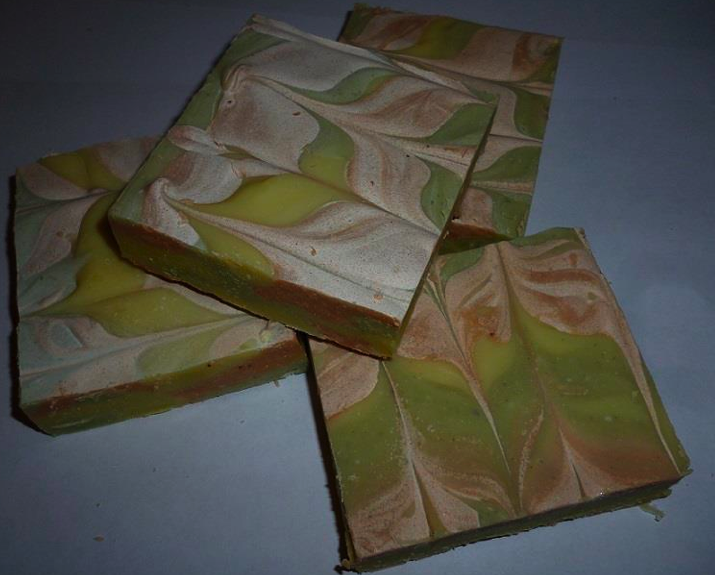 I am also currently arranging to teach my first soap making class which will be really exciting. I don’t really have an ultimate goal, but I’m taking it one step at a time, and right now I’m spending a lot of time doing something I really enjoy which is what matters. Come along this Saturday the 9th of March to find out more! 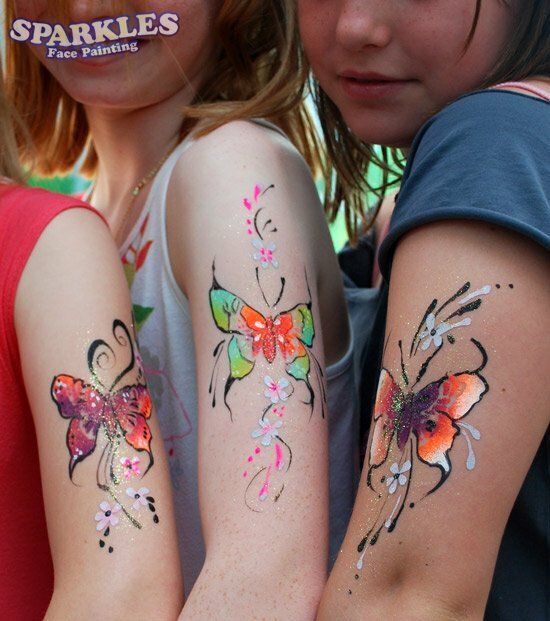 We are pleased to welcome back Carol of Sparkles Face Painting to our Spring Fairy Tale Fair on Saturday the 9th March. 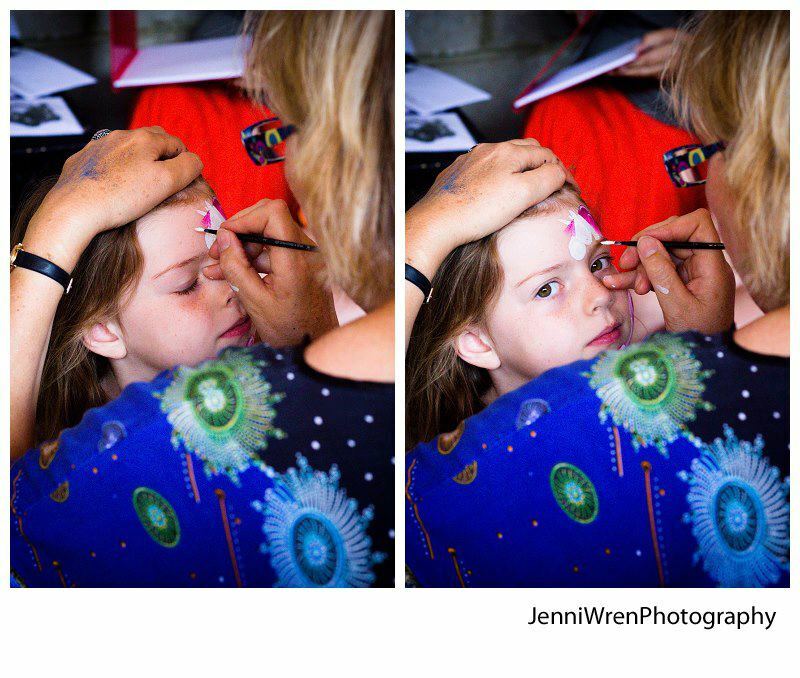 Let’s remind ourselves about Carol and her wonderful face painting…. 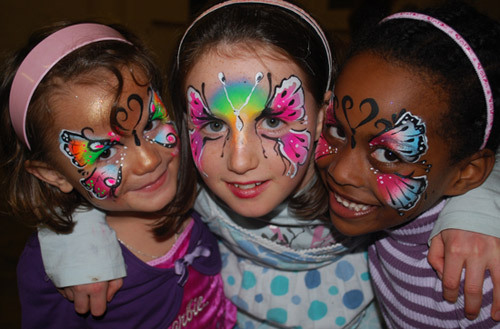 I have been face painting for 7 years Firstly as a hobby at my daughters school and friends parties. Gradually it turned into a business and now I have 7 face painters working with me in the team. 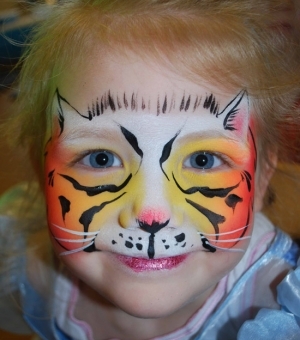 I recently was face painting at the London Boat Show in the and have been as far as Kuwait for a 6 day booking. 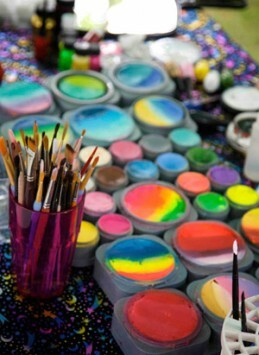 What do you enjoy most about your face painting? The children faces when they look at themselves in the mirror after being painted, its magical. 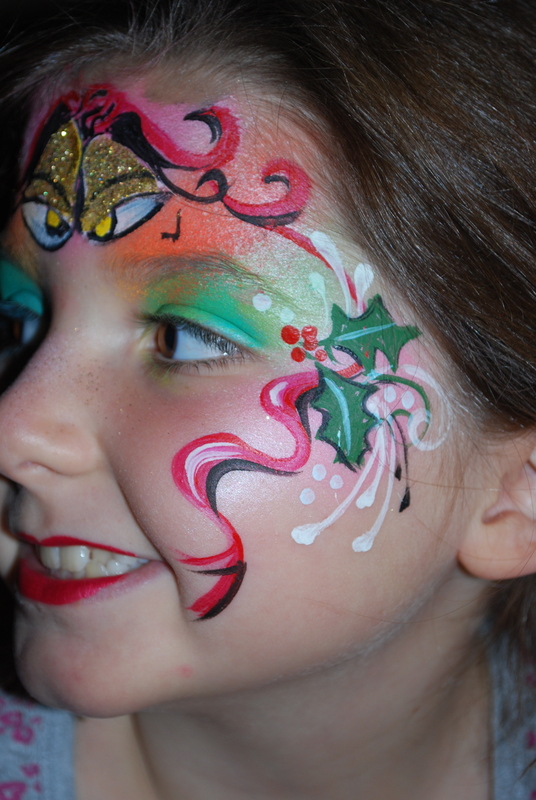 You took part in our Christmas fair, did you enjoy it and find you were popular with visitors on the day? 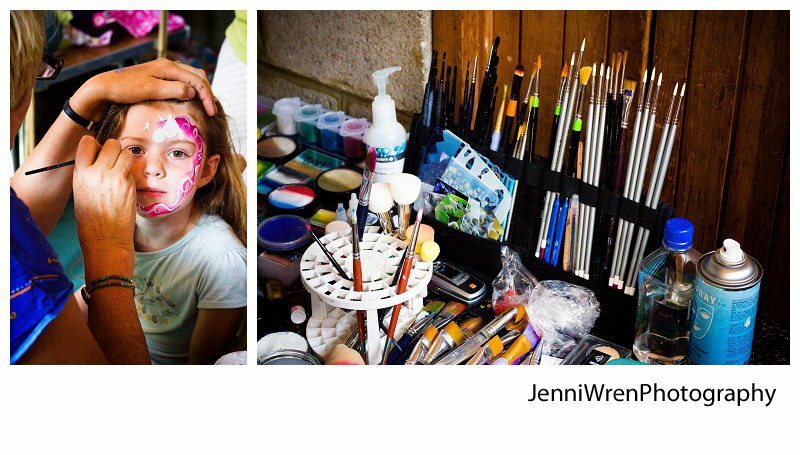 I did not stop face painting all day, this spring I am going to offer balloon models as well as face painting, I did this in the summer and they were very popular. 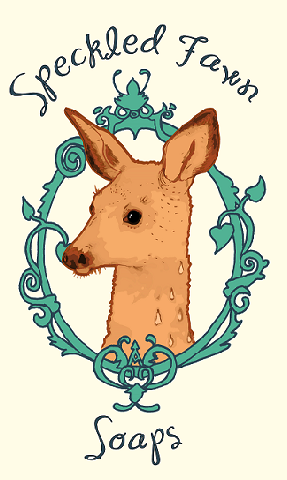 Can we find you at any other fairs or markets for Spring 2013? No. The fairly Tale Fair is the only one I face paint at. It’s great fun because my Mother and daughter join me for the day, They both enjoy it. 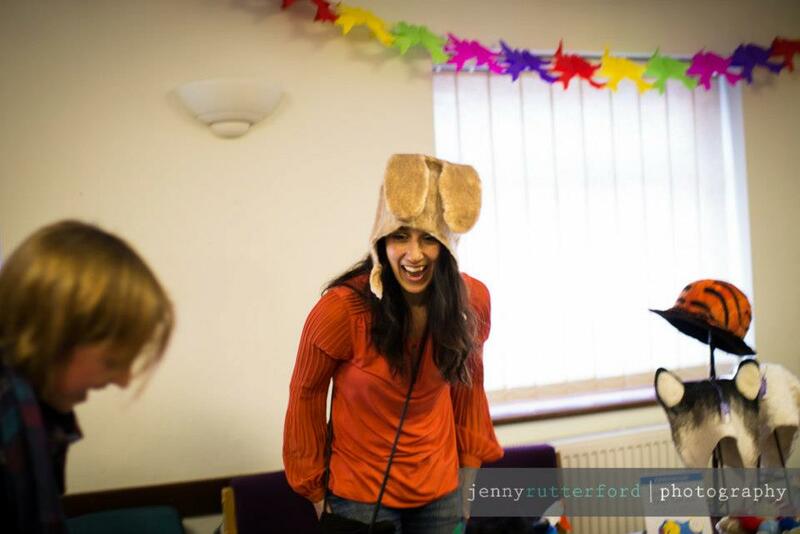 Otherwise I am generally booked up for corporate events and children parties. 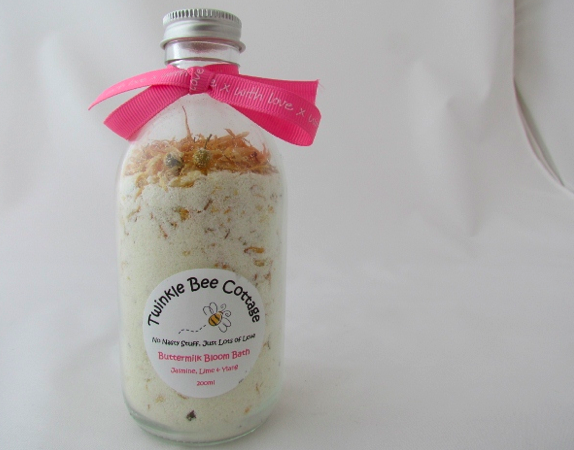 Today we have a festive gift from Twinkle Bee Cottage who make beautiful homemade soap and skincare products. 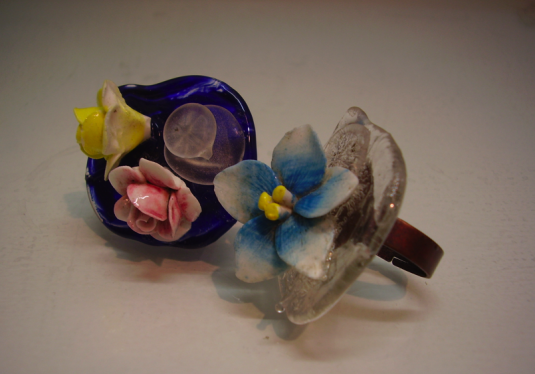 They took part in our last fair and their items seemed very popular with our visitors. 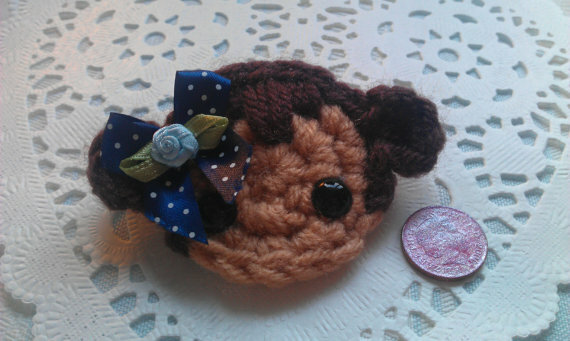 These items make fantastic Christmas gifts or stocking fillers and will compliment any craft items you buy wonderfully! 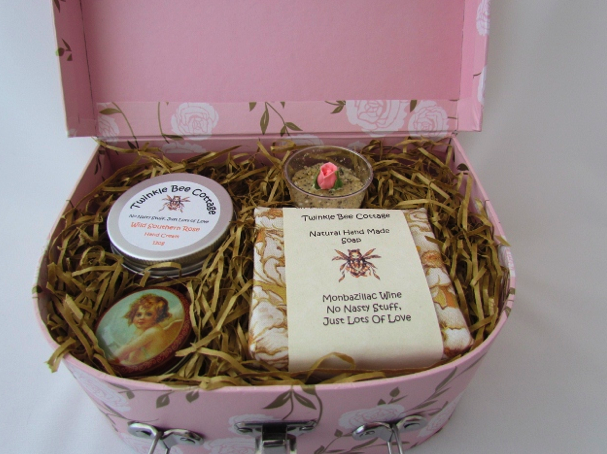 I live In Worthing and have spent the last three years setting up my own business making homemade natural skincare products. 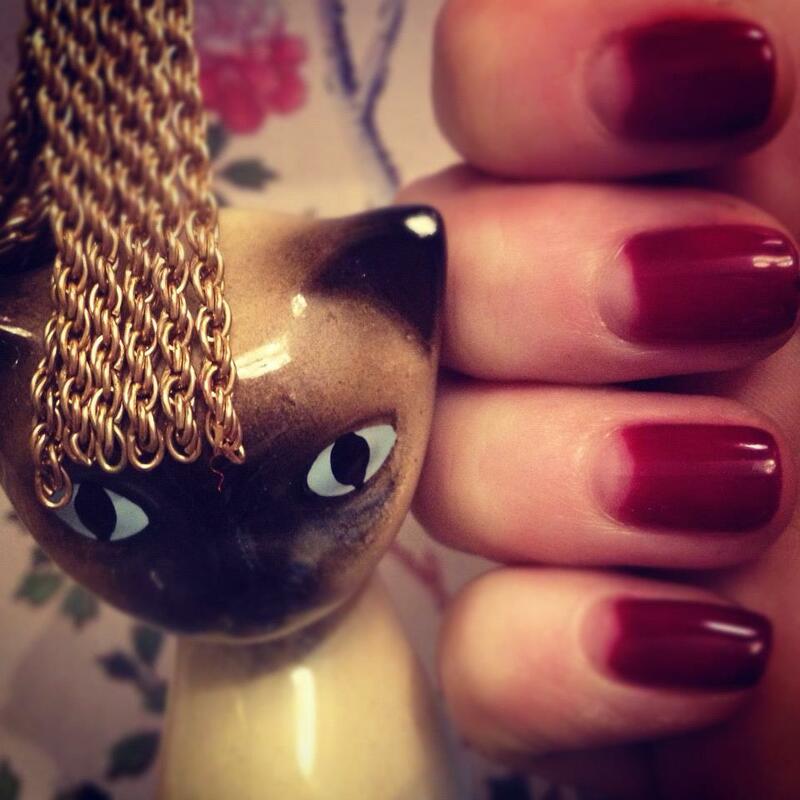 I am completely legal in regards to Trading Standards, Public & Product liability insurance, I use organic and fair-trade ingredients and often use locally produced ingredients wherever possible; I also pay a professional cosmetic chemist to test my products before they are sold to the general public. 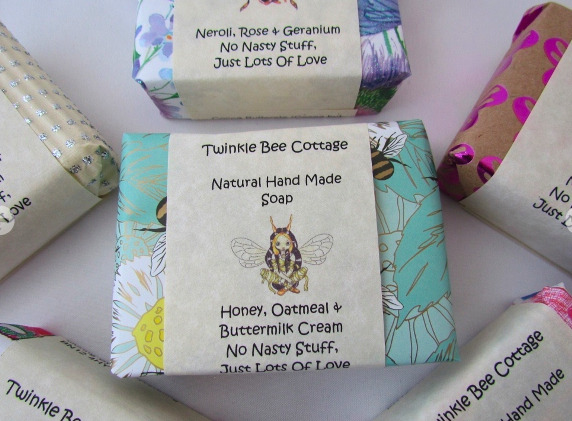 I have three bee hives and use some of the beeswax and honey in my products and I also use a fair amount of buttermilk cream and goat’s milk in my soap products to produce a creamy lather. 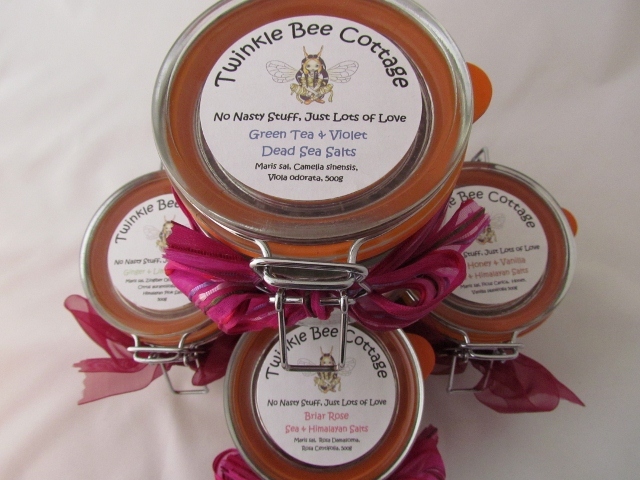 Twinkle Bee products were extremely popular at the last fair. 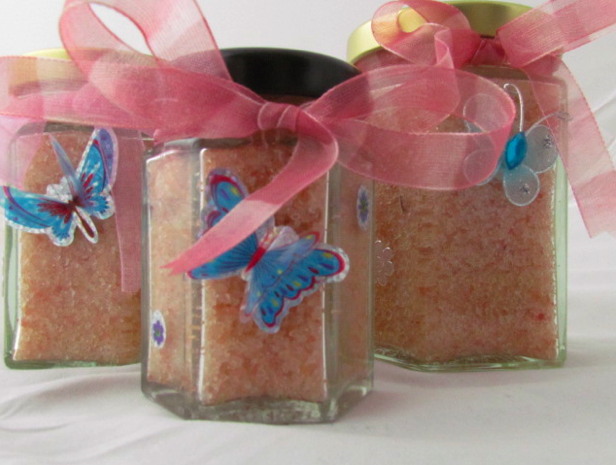 We sold a variety of our goods and the most popular ones were the Shea lip butters and body lotions. I held a Christmas skincare house party at 50 Alinora Crescent, Goring by Sea, Worthing, BN12 4HY on Friday the 2nd November, with lots of soap, bath & body products for gifts. I also hold an open house drop-by service at this address, should anyone wish to come and buy gifts or seek skincare advice. 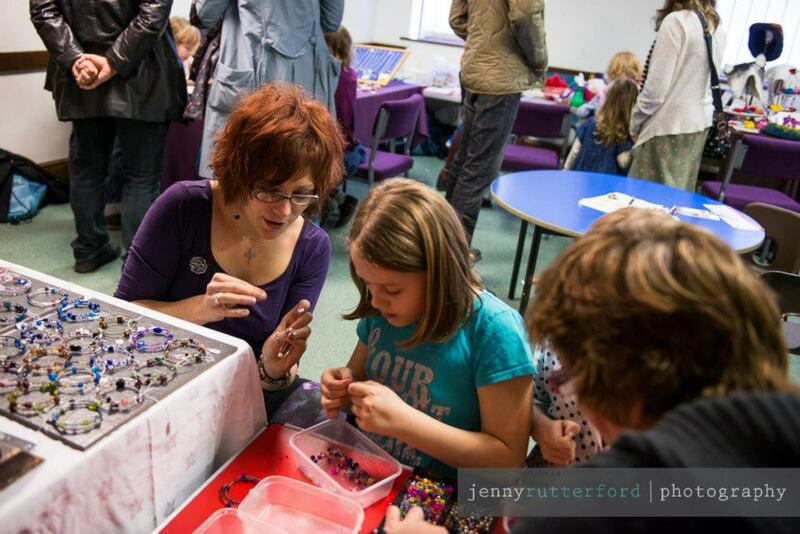 Twinkle bee will be at this event too: Following last year’s successful event, we are delighted to announce that Steyning Music Society will again be holding a Christmas Craft & Gift Fair at the Steyning Centre, which will be held on Saturday, 1st December 2012 from 10.00 a.m. until 4.00 p.m. This was a successful event last year too. Also see their original ‘Say Hello To…’ post here. 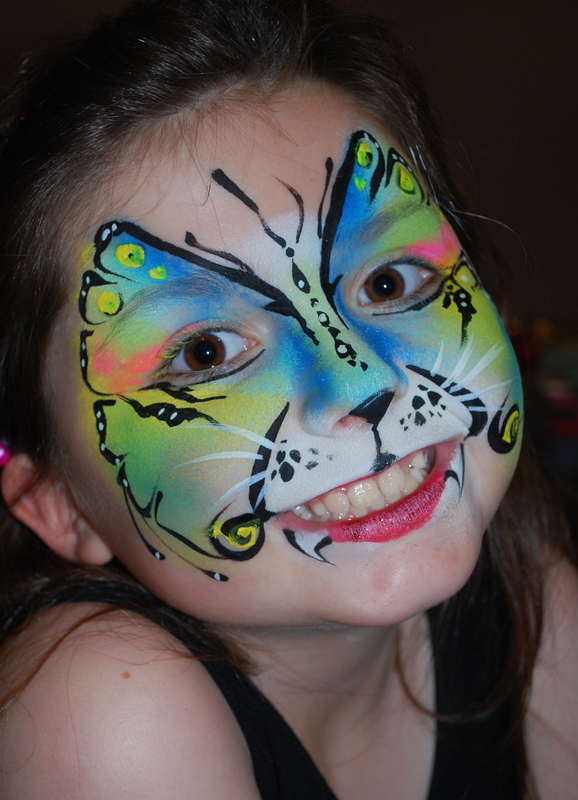 I am a face painter and specialise in bright sparkles face paintings. We will also be selling a selection on hand painted origianl art cards for all occassions as well as Christmas cards painted by carol sparkles. 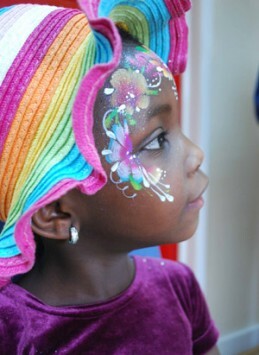 We were very poplular and had a que nearly all day for face painting it was great fun with such enthusastic children. We look forward to seeing you all again, Carol. 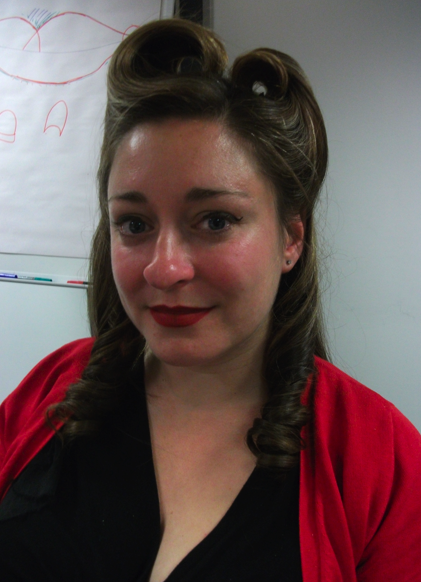 We look forward to welcoming Carol and her sparkles back to really bring the fairy tales and festivity to life! Above: Carol at the summer Fairy Tale Fair. 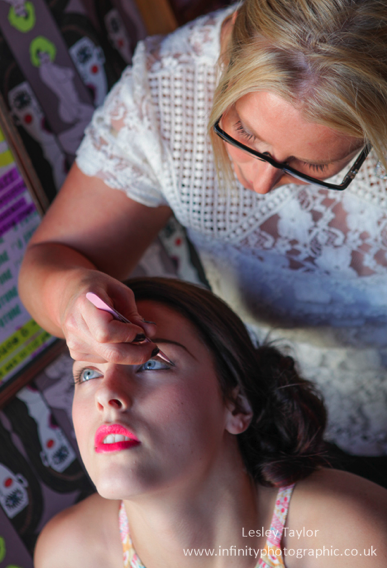 Today we introduce to you Powder Beauty, who are a fabulous vintage inspired beauty salon in Duke Street, Brighton. 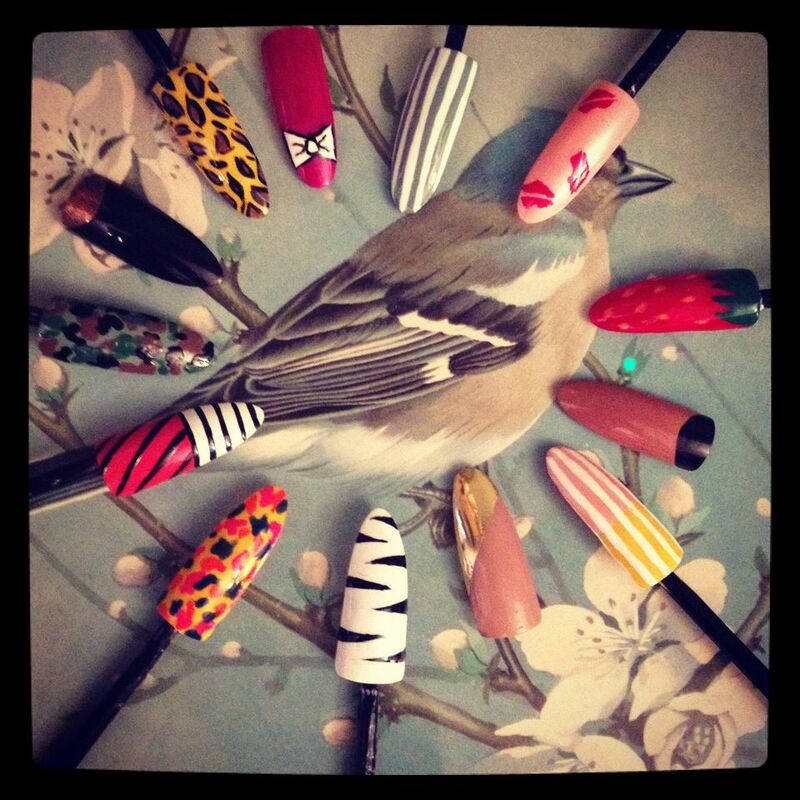 We are super excited that they will be coming along to our fair to provide lovely mini manicures, nail art and more to add some extra sparkle and magic to our day! Tell us a bit about Powder and how it started…. 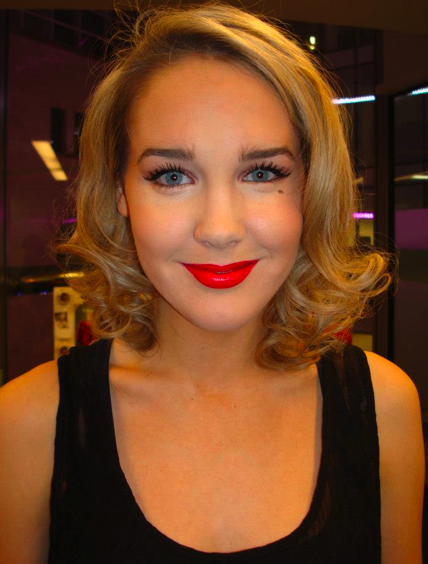 Powder was one of the first vintage inspired salons, we started as a small concession in Topshop just offering eyelash extensions. Then opened up in Brighton 8 years ago. 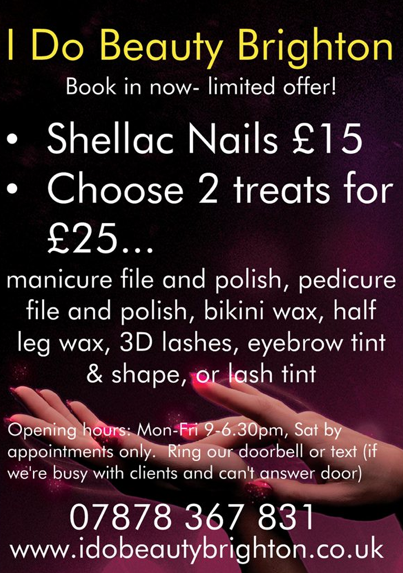 We are also Brighton’s first eyelash salon. 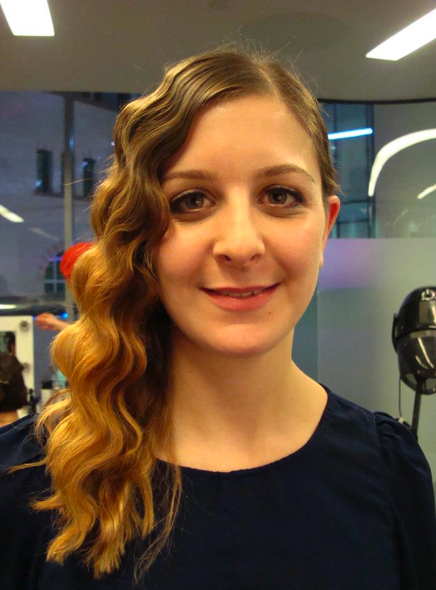 I always wanted to create a different style salon after working in London for many years as a make up artist/stylist and also a beauty therapist I got lots of experience and inspiration along the way. How long has it been since Powder was opened? What do you enjoy most about your job at Powder? The variety is great. But the main thing is having happy customers who trust us. 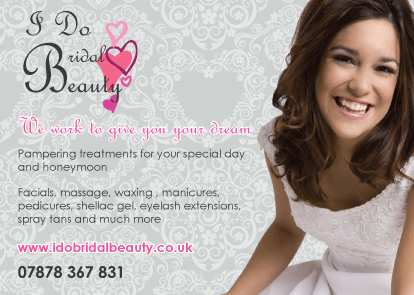 What treatments/ services will you be providing on the day of The Fairy Tale Fair? 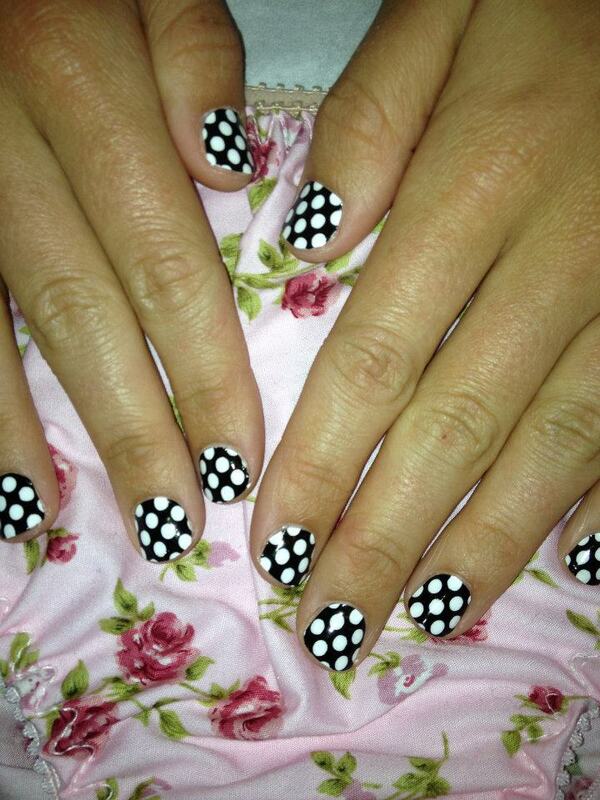 Mini Manicures and Nail Art with gems and stickers! 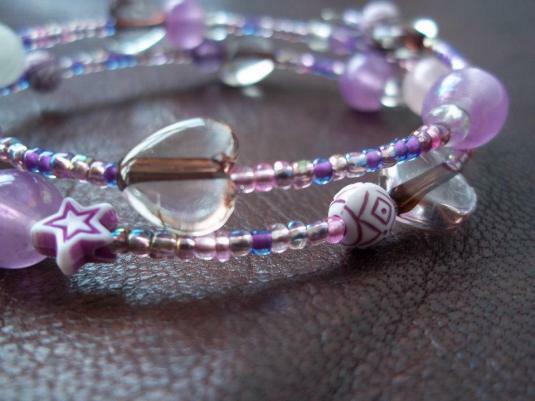 We will also be selling some lovely jewellery and our popular Luck dip bags which are always full of surprises! Can people pre-book with you if they want, and how do they get in touch if so? 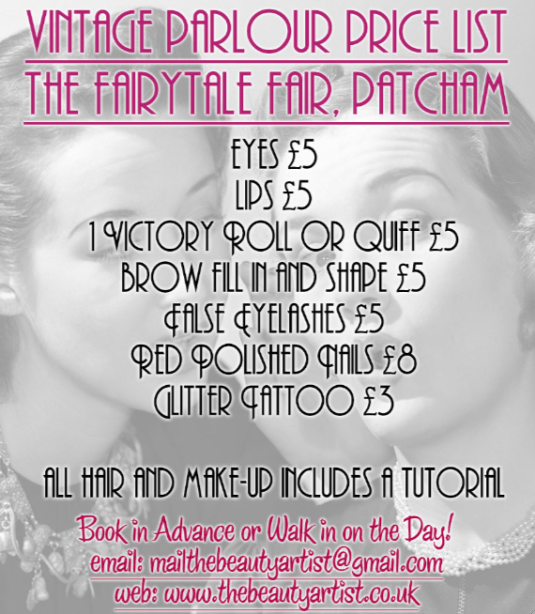 Yes they can call 01273 720055 to make a booking (quote fairy tale fair 24th Nov) or just come along on the day. Prices start at £5 for a shape and paint. 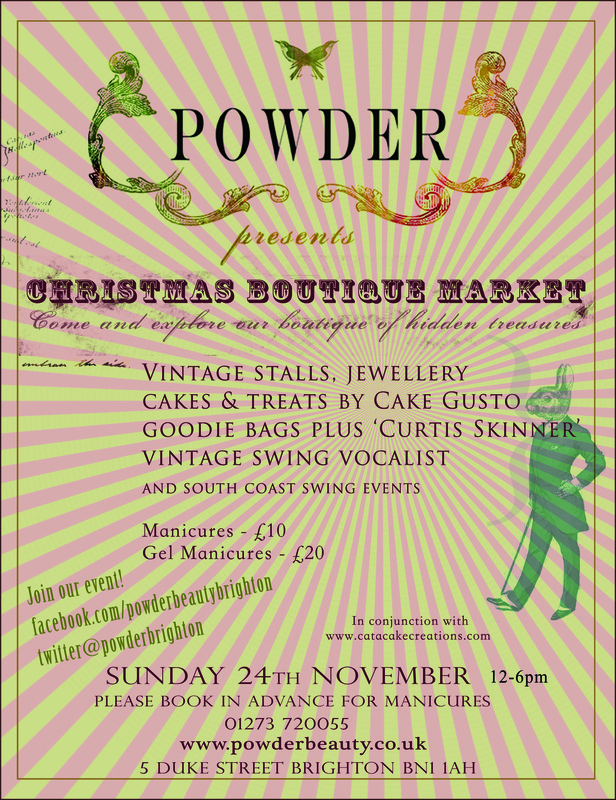 Kate from Powder will be looking forward to welcoming you on the day. 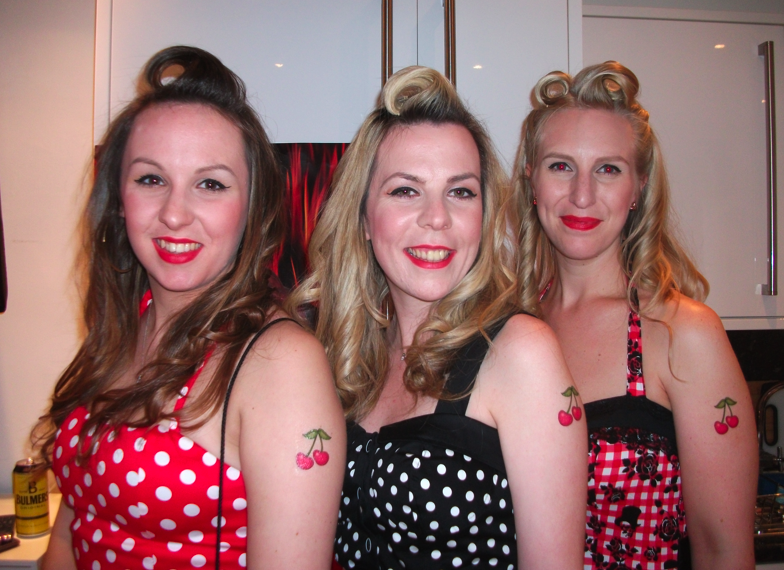 We can’t wait to welcome the Powder girls on the day! 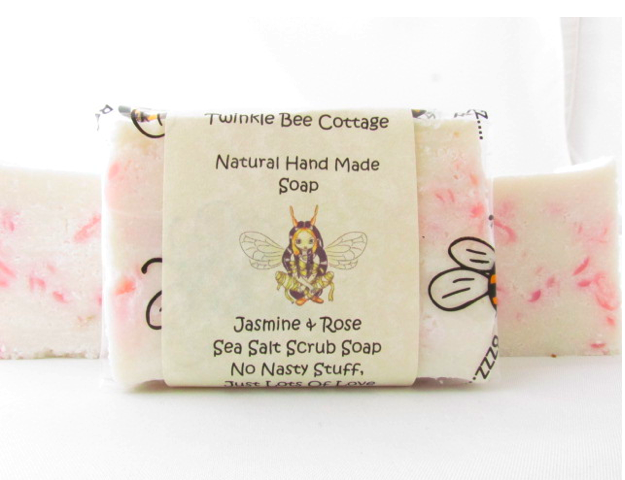 Today we meet Twinkle Bee Cottage who will be selling their delightful handmade soaps at our fair! How would you describe your style/products? They are made with the most natural of ingredients, using Organic, Fair-trade and local suppliers wherever possible and free from nasty additives that could harm your skin. 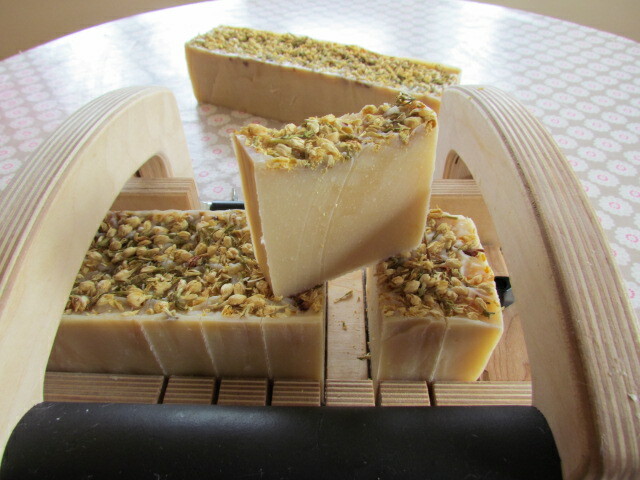 What do you enjoy most about your making your soaps? The challenge to create something special….. Making my products has been a challenge and I have set myself very high standards, often scrutinising other top branded ‘Natural’ products, so that I can go even further and create something more beneficial and better for my clients, which usually work out at least 50% cheaper than well-known brands. Do you take part in other events? 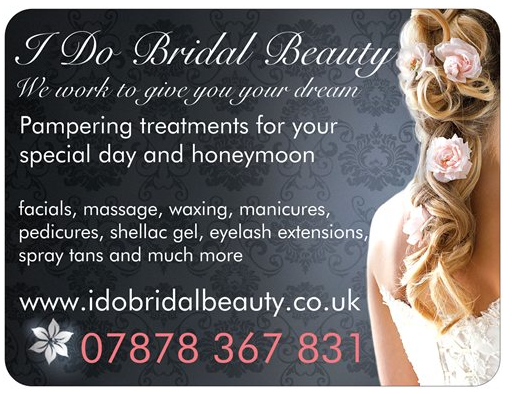 Find out more and see all their products on their website and also Facebook. 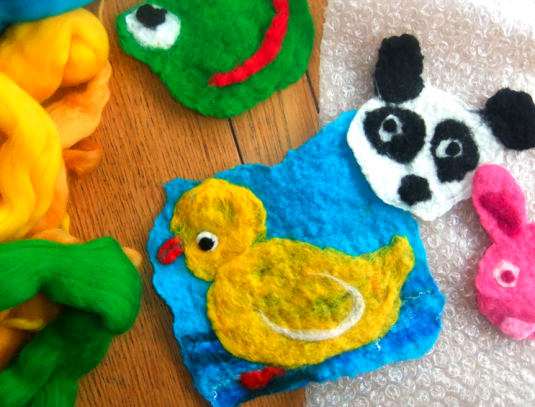 We look forward to seeing their lovely products at the fair!